Hey guys! Sorority recruitment is coming up and I have been getting a lot of questions to do a video about tips for holding the perfect conversation between a Potential New Member and a sister! The biggest thing that helped me was that I jotted down questions to ask the sister just in case the sister was not asking me most of the questions. A PNM is not usually supposed to be the “question asker”, but if there is too much awkward silence, you might have to take the wheel! Why did you decide to go through recruitment? What was your favorite philanthropy that you participated in and why? Were you an in-state or out-of-state student? If they say out-of-state ask, How was the transition moving to a different state and how did your sorority help with that situation? If in-state ask, Even though you are close to home do you ever get homesick, if so how does your sorority help with that situation? Are you involved in any other organizations, if so what are they? Ask they to define terms that you are confused about, for example, What is a philanthropy event? How do you balance your time between academics, school and sorority events? What is your academic program like? Are you required to have a certain amount of study hours? Do you have a specific place for studying in the house? What was your favorite social and why? How does Greek life get involved on campus/ with the school as a whole? Why did you join this sorority? What is the best part about being in this sorority? What is the best part about being Greek? What is your sorority’s philanthropy? What are the initial steps you must take to become more involved in your sorority? What are some of the values that are associated with your sorority? How has your sorority changed you? Does your chapter plan sisterhood events? If so, what were some of your favorite? Does your chapter keep in touch with alumnae? If so, what are some events that your chapter planned with them? What was it like when you got your big? If the chapter has a house on campus ask, Do you live in the house or do you plan on living in the house? 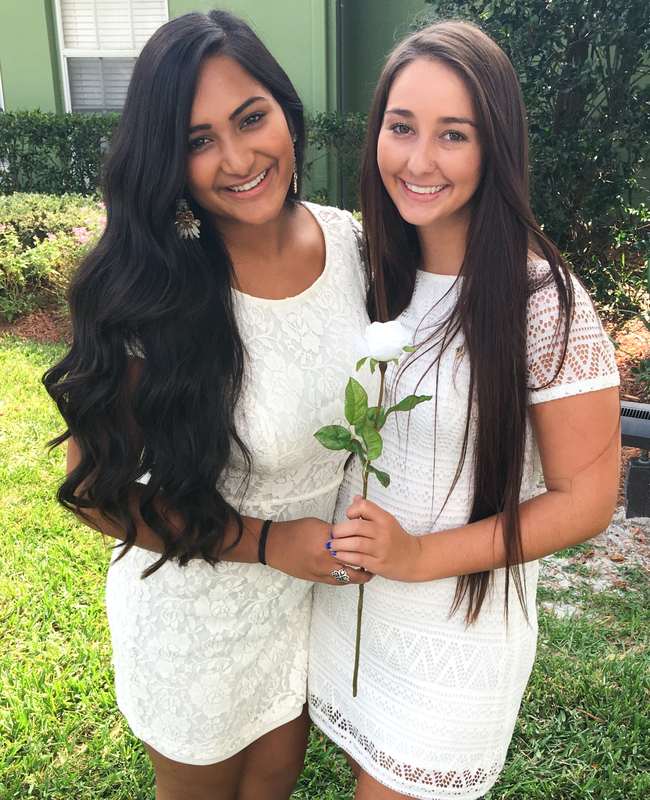 What makes your sorority unique? What are some of the traditions of the university that you have participated in? How much are sorority dues per semester? The four B’s: Boys, Booze, Bars & Bibles. Do not talk about another specific sorority. Netflix/ TV shows/ Movies, take advantage of the time to find out about the sorority! Don’t ask what a certain symbol means because it is probably ritual which means you will only find out once your are initiated! WATCH THIS VIDEO TO FIND OUT MORE TIPS TO HOLD A PERFECT CONVERSATION WITH A SISTER!